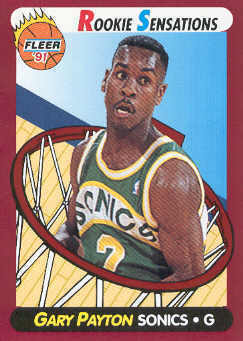 1991-92 Fleer Rookie Sensations basketball insert card of former Seattle Supersonics All-Star point guard Gary Payton (#9). NrMt-Mt or better. ONLY 3 AVAILABLE FOR SALE.